Razor mount for scoring dough. A lame (/lɑːm, læm/) is a double-sided blade that is used to slash the tops of bread loaves in artisan baking. A lame is used to score (also called slashing or docking) bread just before the bread is placed in the oven. 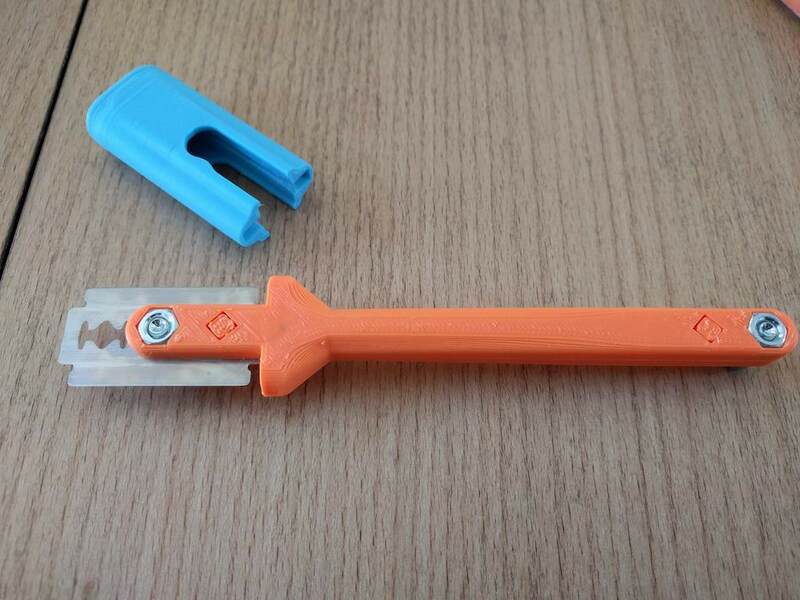 The result is excellent, the tool is safe and confortable to use..
just to make it official, after I printed this tolI, I recommended a thumb-protector mod for the design to avoid the situation when one tries to remove the cap with a thumb push, which action might cause serious cut on said finger.